We are delighted to announce the launch of the Beckett Digital Manuscript Project, a collaboration between the Centre for Manuscript Genetics (University of Antwerp), the Beckett International Foundation (University of Reading) and the Harry Ransom Humanities Research Center (University of Texas at Austin). The project is supported by the Estate of Samuel Beckett, and is published by the University Press of Antwerp. The purpose of the Beckett Digital Manuscript Project is to reunite the manuscripts of Samuel Beckett’s works in a digital way, and to facilitate genetic research: the project brings together digital facsimiles of documents that are now preserved in different holding libraries, and adds transcriptions of Beckett’s manuscripts, tools for bilingual and genetic version comparison, and a search engine. The project also enhances the preservation of Beckett’s manuscripts. (a) a digital archive of Samuel Beckett’s manuscripts (www.beckettarchive.org), organized in research modules. Each of these modules comprises digital facsimiles and transcriptions of all the extant manuscripts pertaining to an individual text, or in the case of shorter texts, a group of texts. (b) a series of print volumes analyzing the genesis of the texts contained in the corresponding electronic environment. The editorial schedule of the Beckett Digital Manuscript Project envisages the publication of one module per year, and will run to 2037. 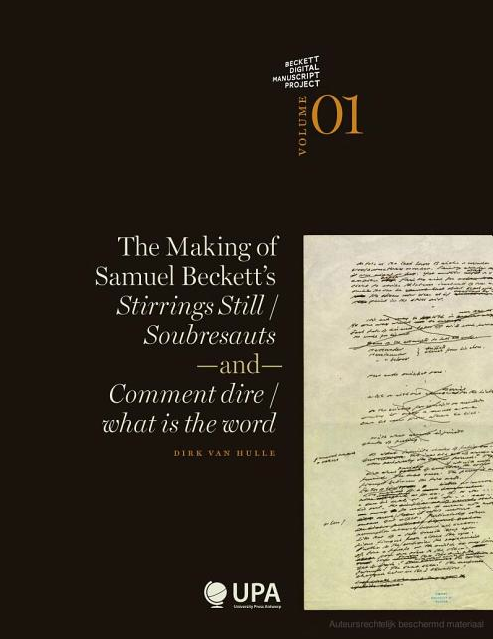 The first module, which comprises Stirrings Still / Soubresautes and ‘comment dire / what is the word’, edited by Dirk Van Hulle, and the corresponding volume The Making of Stirrings Still / Soubresauts and ‘comment dire’ / ‘what is the word’ (Brussels: ASP/University Press Antwerp, 2011, ISBN: 9789054879121) are now available. See www.beckettarchive.org for details. The Beckett Digital Manuscript Project is a collaborative research project, undertaken by and for the scholarly Beckett community; we invite colleagues to participate and to comment on the project. The project relies on subscriptions (individual and institutional) by the community to ensure its continuation and successful completion. 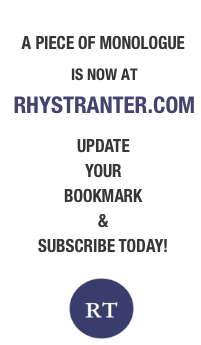 Should you have any comments or queries, please don’t hesitate to contact the project directors.